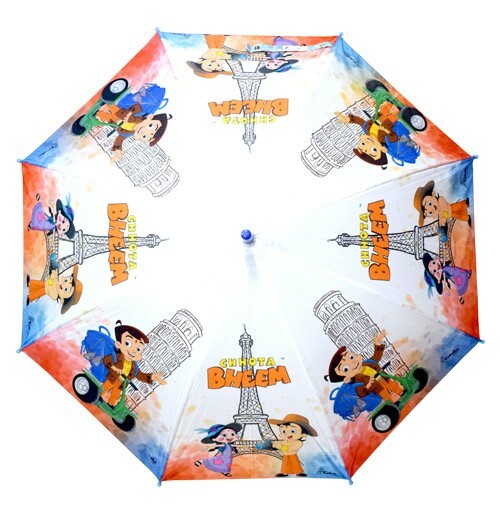 Check out the gorgeous Effile Tower themed Chhota Bheem Umbrella available in beautiful White color. 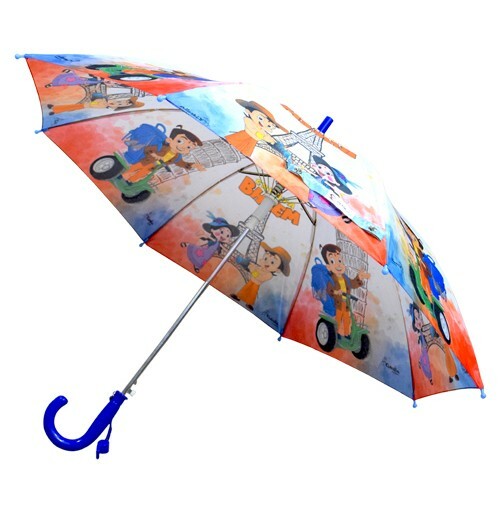 Buy this premium quality umbrella online from our Green Gold Store that allows your kids to step out tension-free either it's a sunny day or a rainy day, without worrying about getting drenched. This stylish protective can be carried by your kids all times, be it rain or shine, to protect them from catching a cold by soaking in the rains or getting tanned by walking under the harmful sun rays. 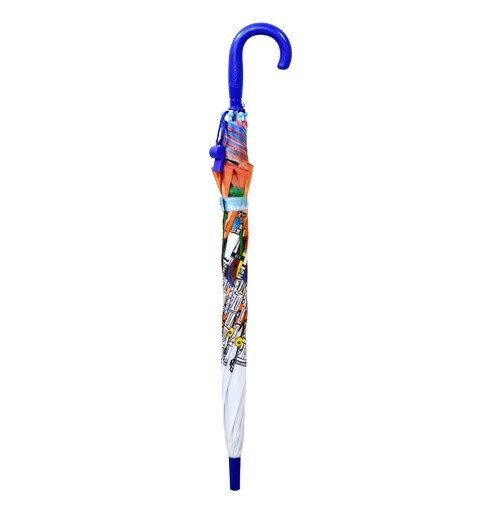 They can easily Stay dry in style with it all day long. This budget-friendly umbrella has a 100% waterproof quality too. 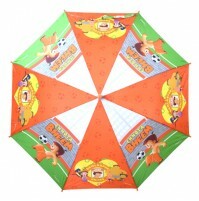 The lightweight design of this umbrella gives it an amazing look & Nylon Fabric used for it is very soft & skin friendly The umbrella can be opened up and closed quickly due to the safe plastic-tips that makes it easy for kids to use it. 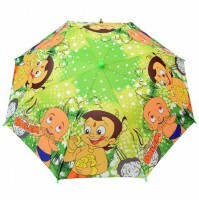 The Chhota Bheem umbrella has a shoulder strap for easy transport. 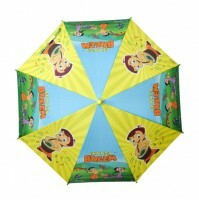 It is very good to use in all weather. 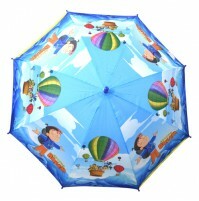 It's Ideal For Boys And Girls under-age group 4 to 6 Years. 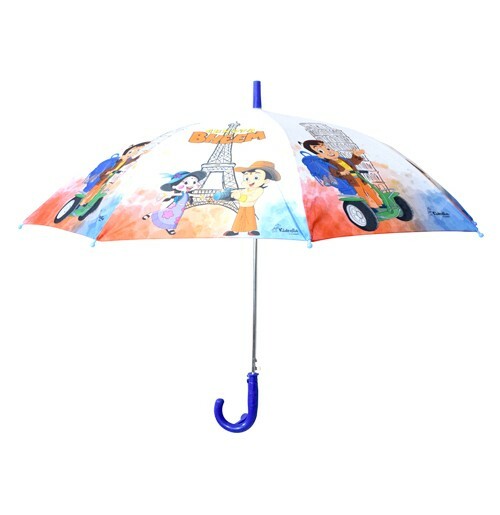 It's so easy to use as there is a press button For Automatic Opening Of Canopy & for fun moment a whistle is also attached at the handle of this umbrella so that your kid can blow it whenever they want. We ensure that your children will love to take it everywhere as their bestie due to its protective features & it adds a style statement to their look also.While shopping you can also avail free shipping & cash on delivery service.